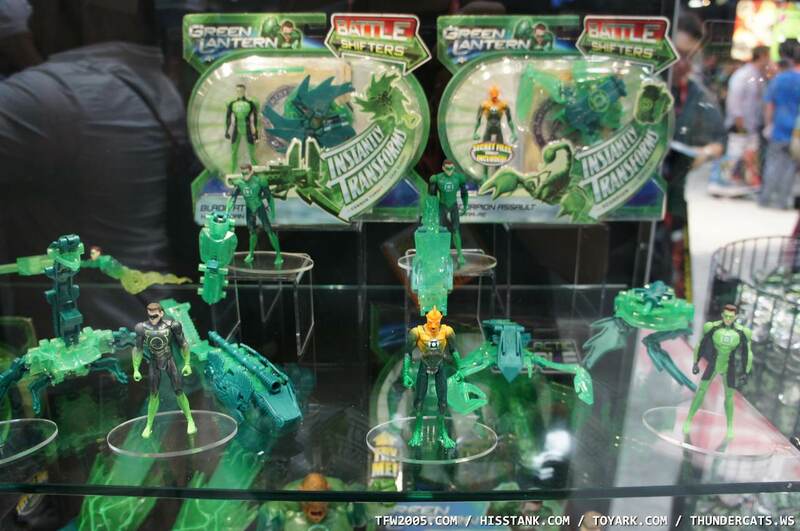 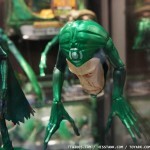 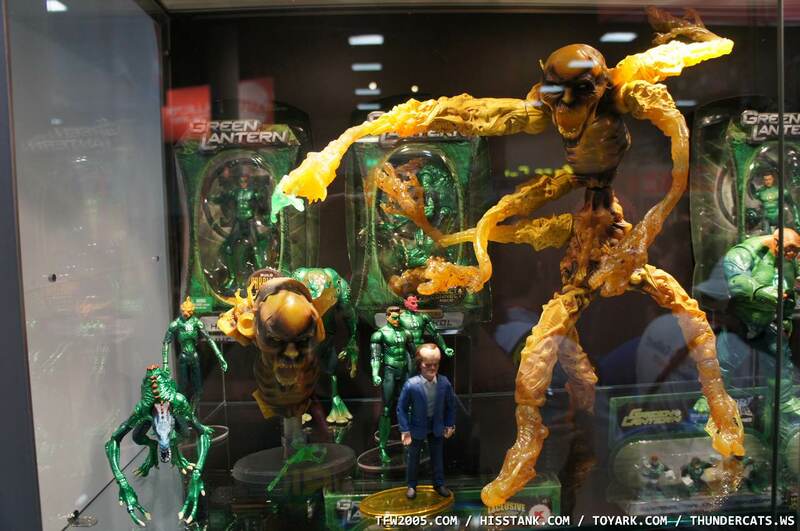 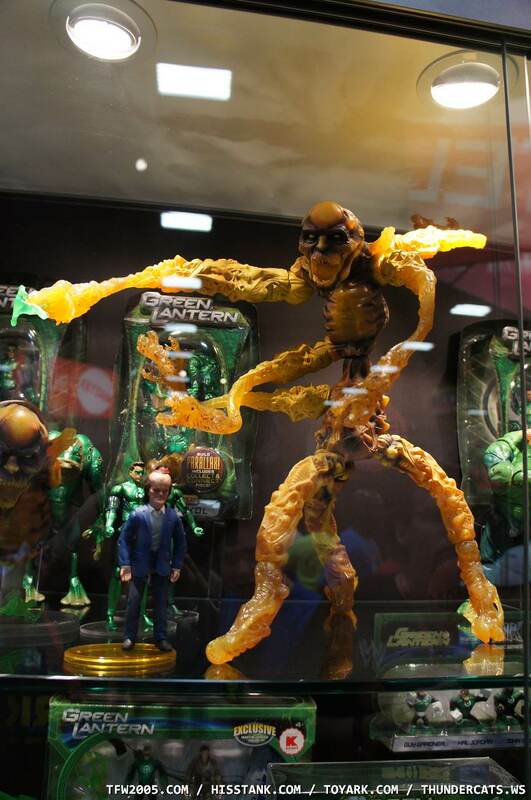 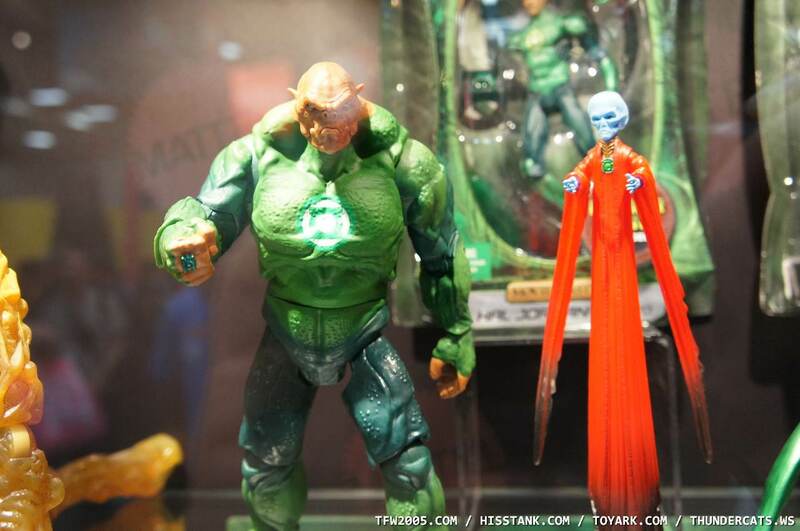 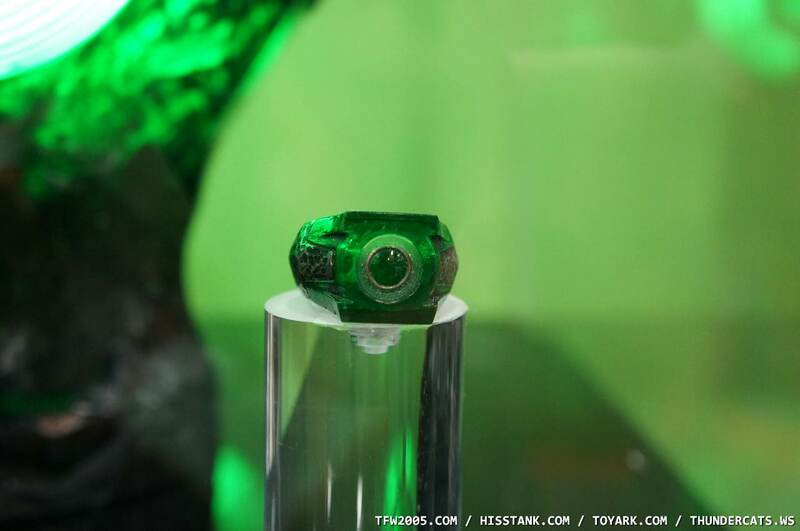 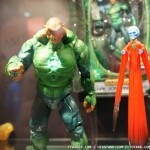 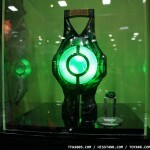 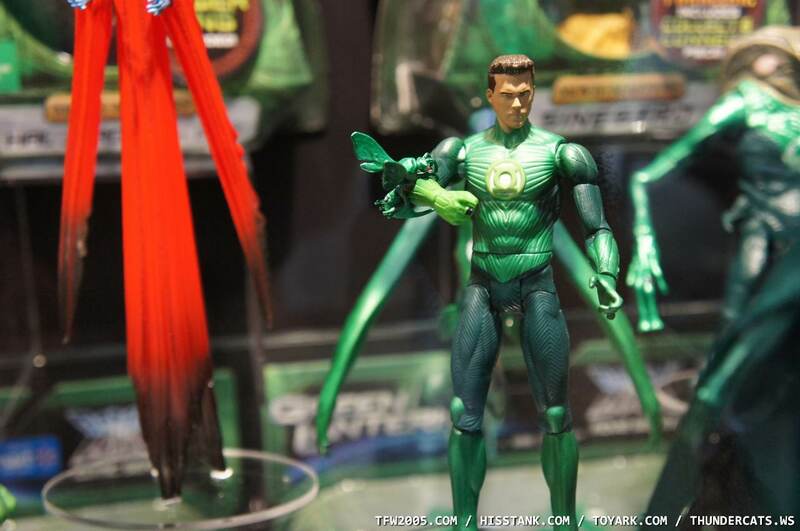 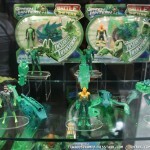 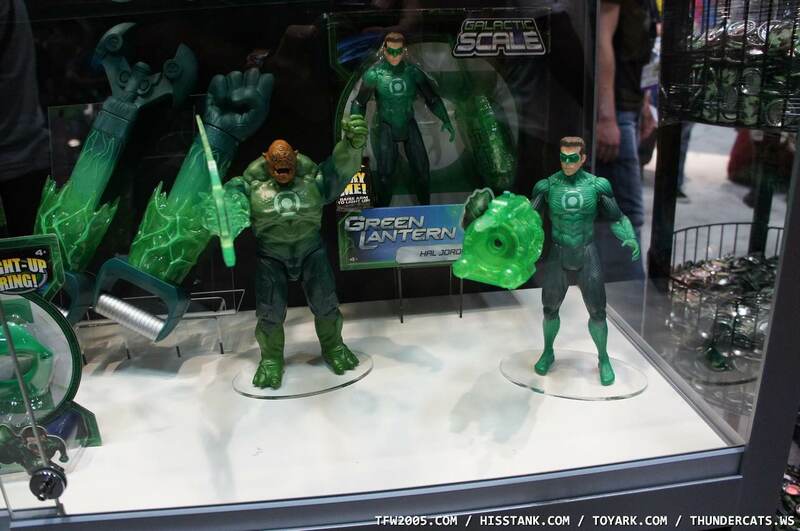 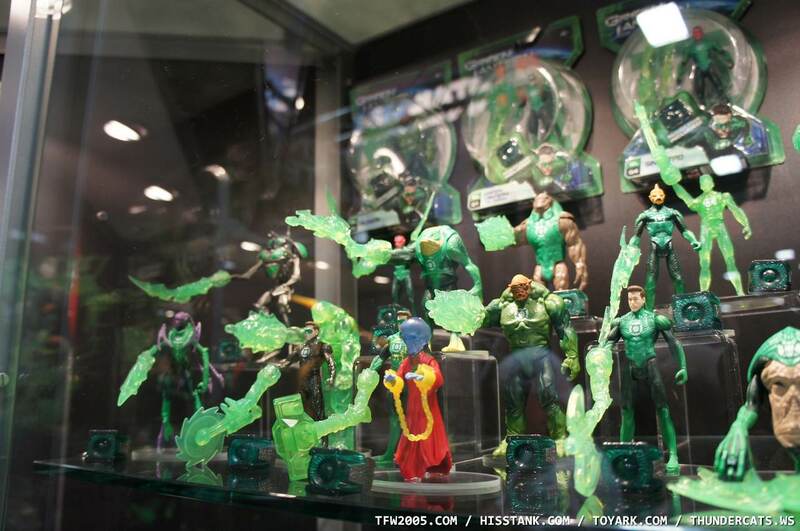 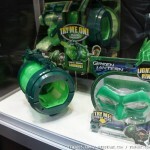 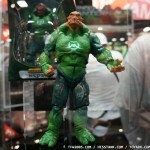 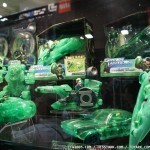 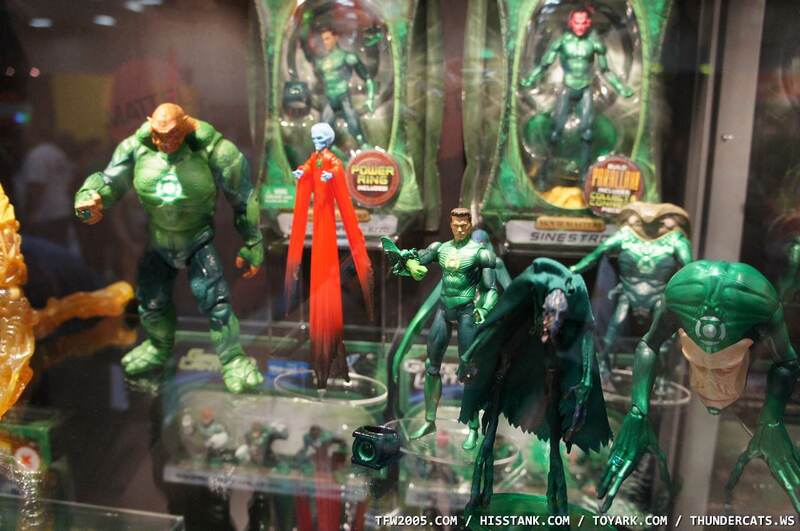 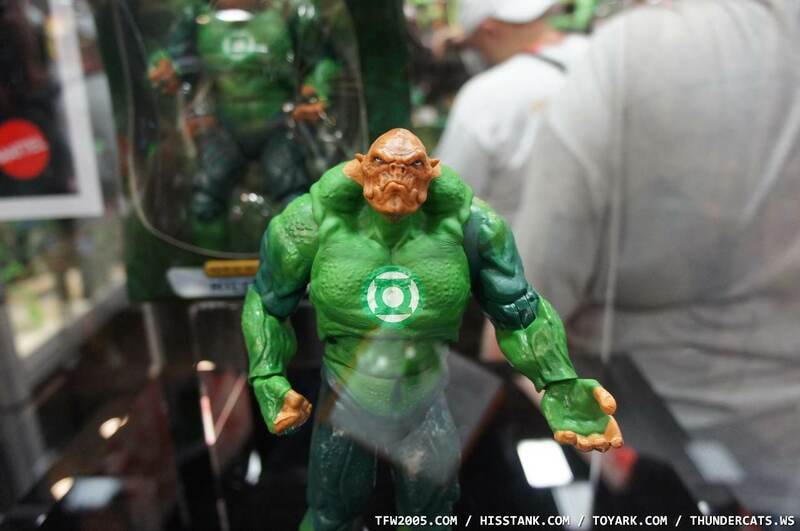 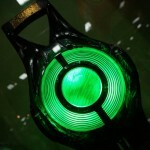 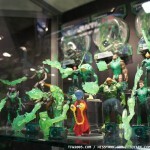 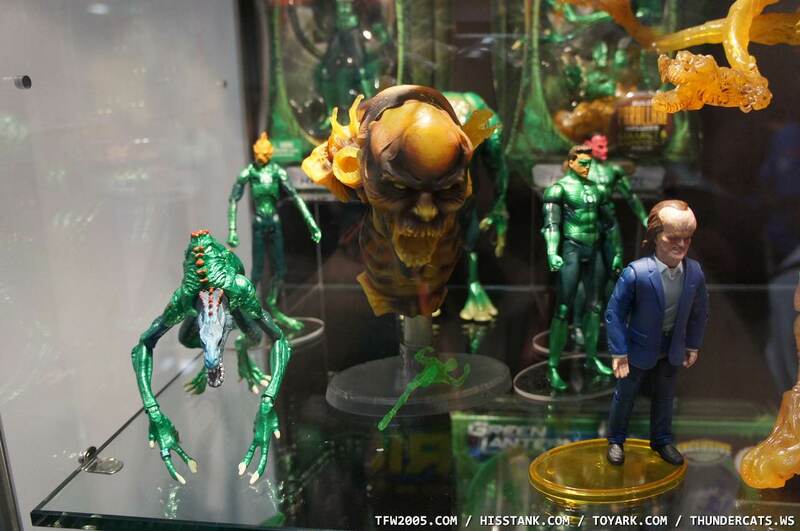 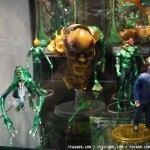 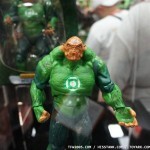 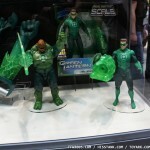 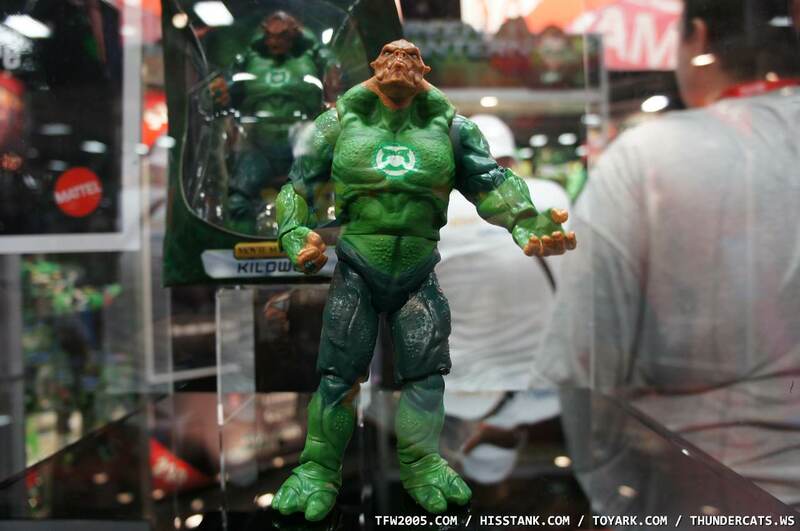 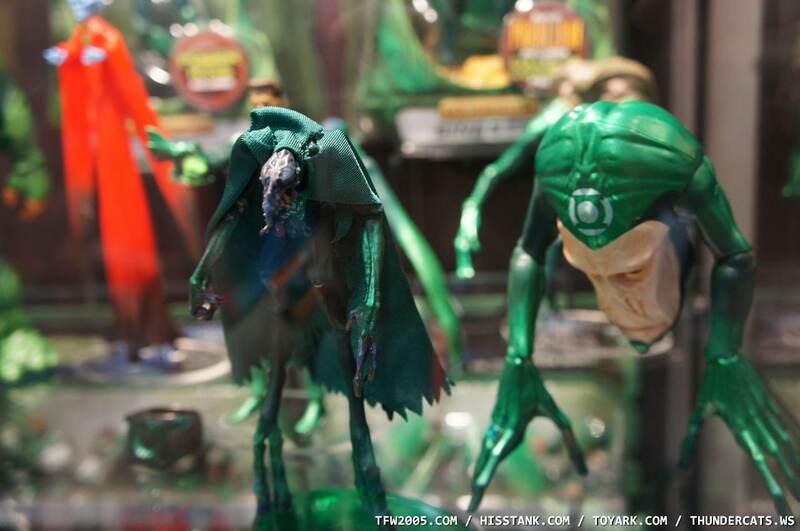 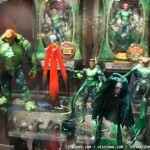 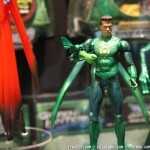 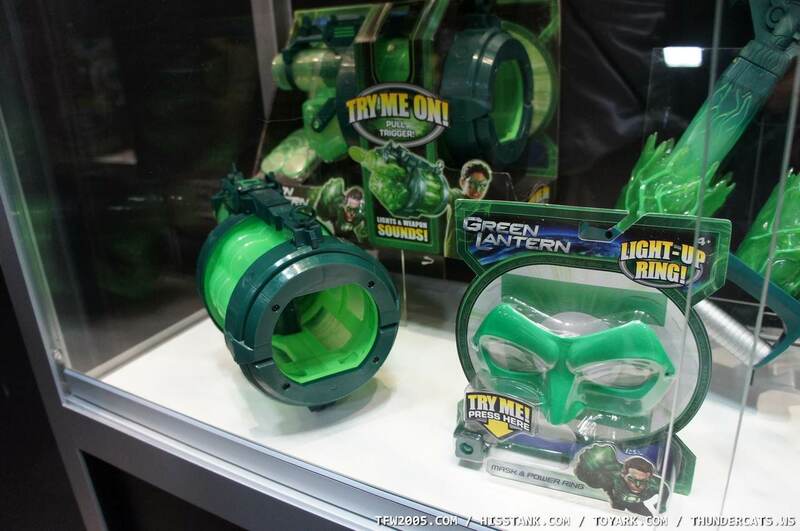 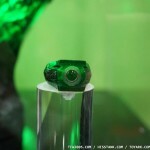 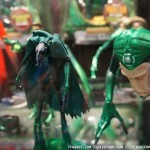 Here are some photos of the Green Lantern Movie toys on display at San Diego Comic-Con 2011. 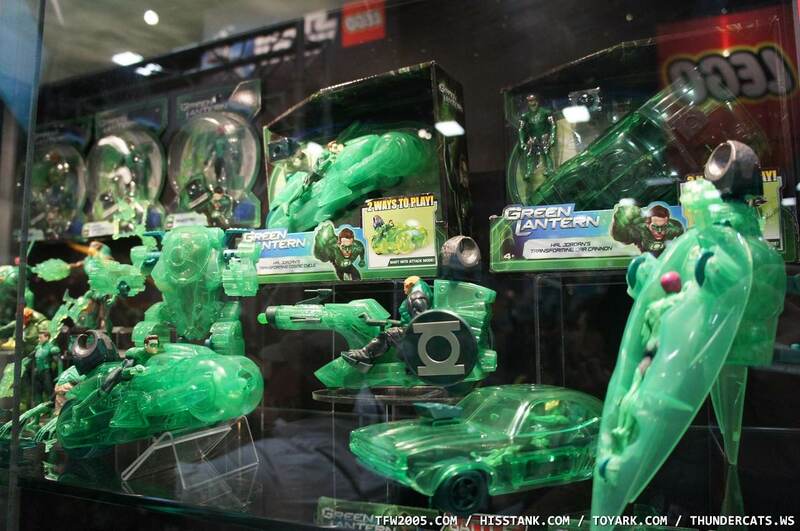 Anybody else thinking that car could be repainted and fit in with MU figures? 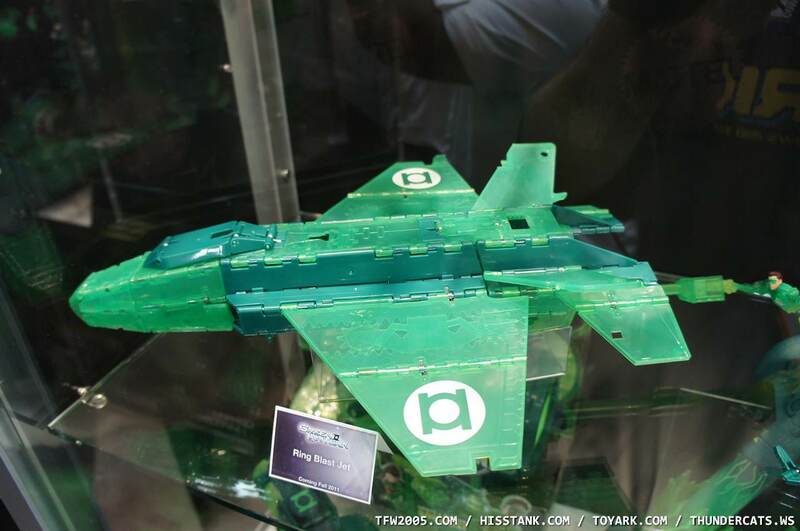 Still can't get over how disappointing that 14-piece CNC is. 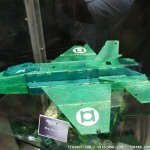 What does the plane transform into? 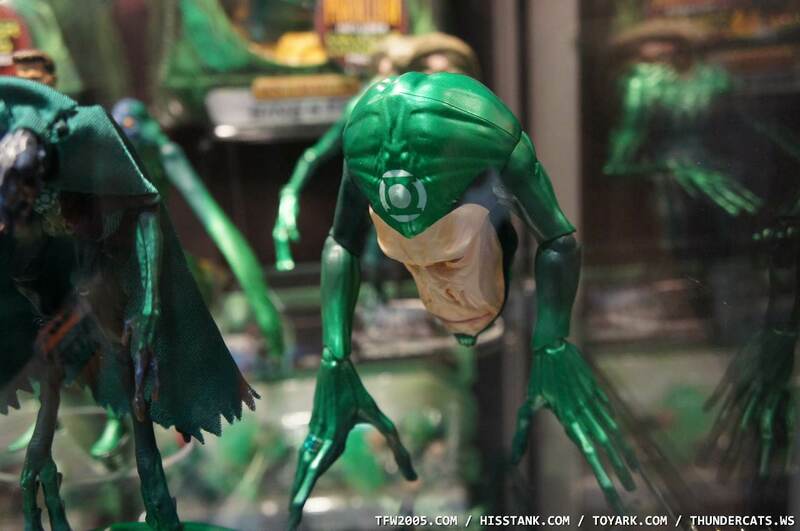 it sure looks like it supppose to transform into something else. 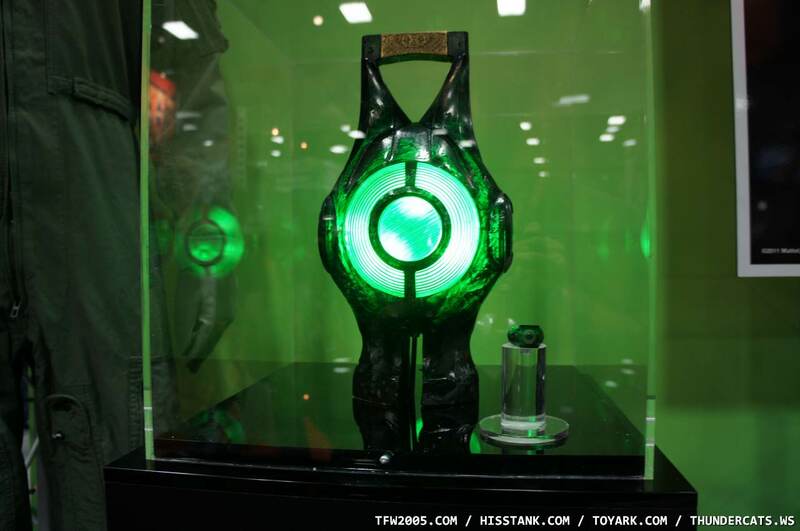 Now we know why it was blacked out on the back of the packages, hell more then once I was thinking about starting to get them. 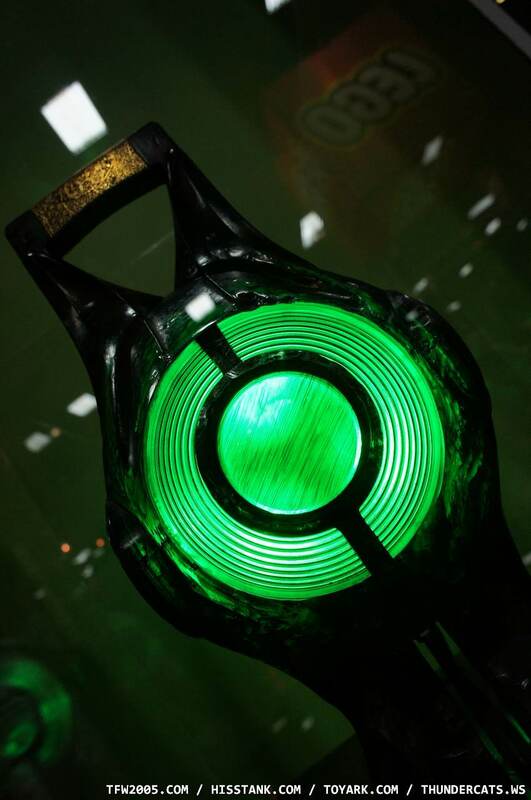 Glad I didn't.